so basically, you pick a number (1-200) and then a letter (a-z). tack (riding equipment) is optional, if you want tack on your horse, just ask! 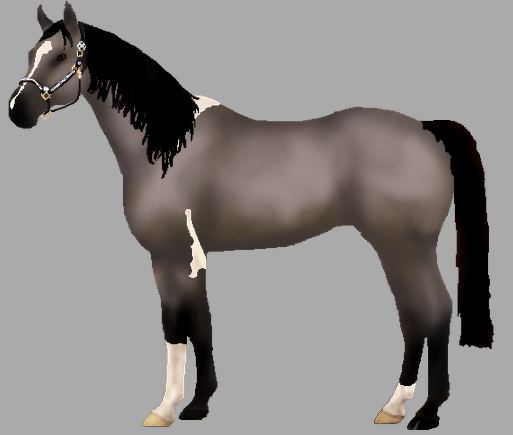 i will include the horse's color, but probably not the genetics unless you really want them. numbers are 1-200, letters are a-z. so go ahead and post! just a note, all horses are made with snafflez's horsemaker. have fun! How cool!! How about 128a? 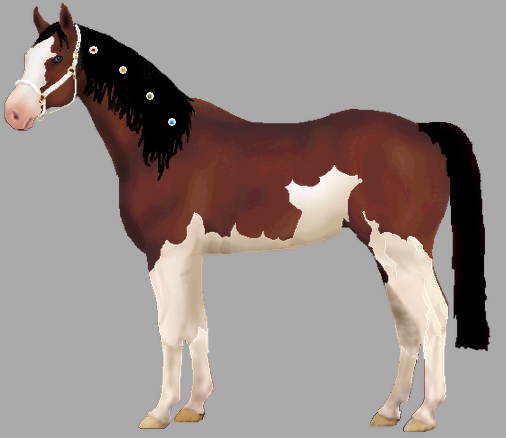 Chestnut tobiano. Most likely a lesson horse. Probably an American Paint. Brunblakk. Most likely an all-around horse. Probably a Fjord. 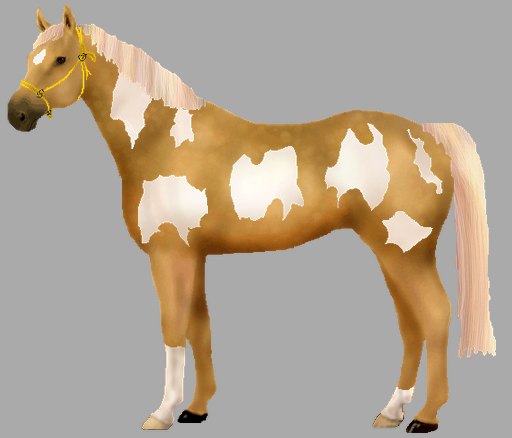 Palomino overo. Most likely a hacking/trail riding horse. Probably a Mangalarga Marchador. 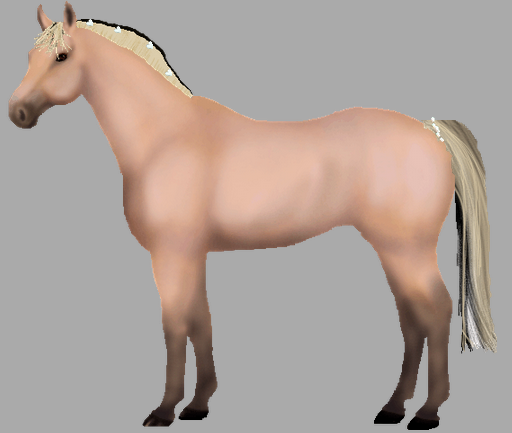 Buttermilk buckskin. 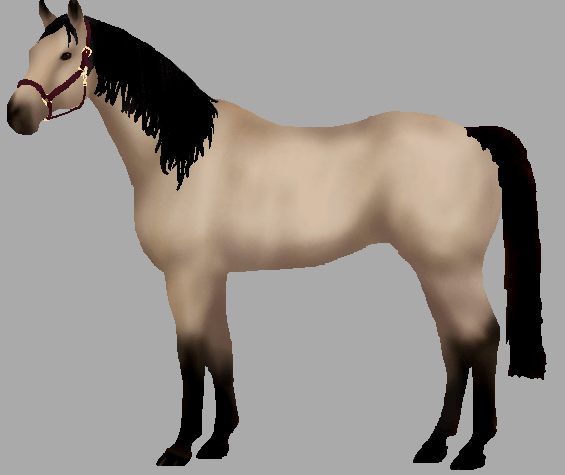 Most likely a western pleasure horse. Probably a Rocky Mountain Horse. Mouse gray minimal tobiano. Most likely a dressage horse. Probably a Morab. 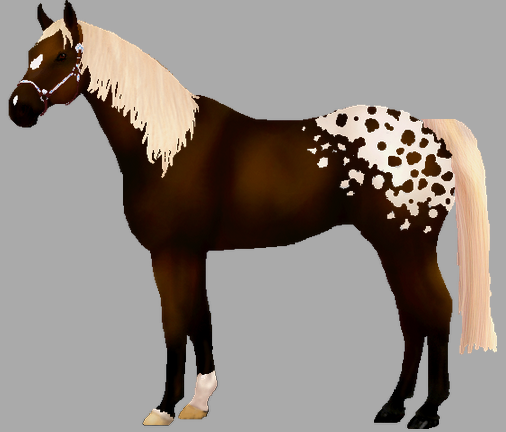 Chocolate palomino appaloosa. 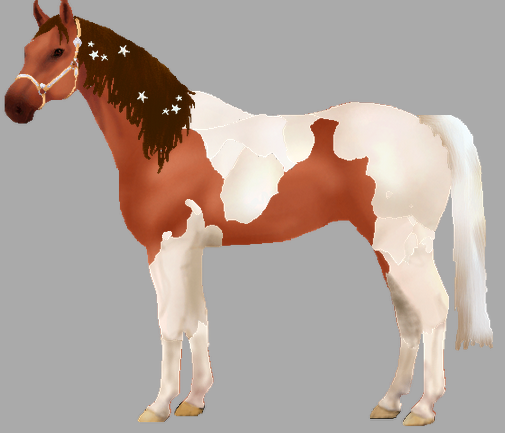 Most likely a festival horse. Probably a Tennessee Walking horse.